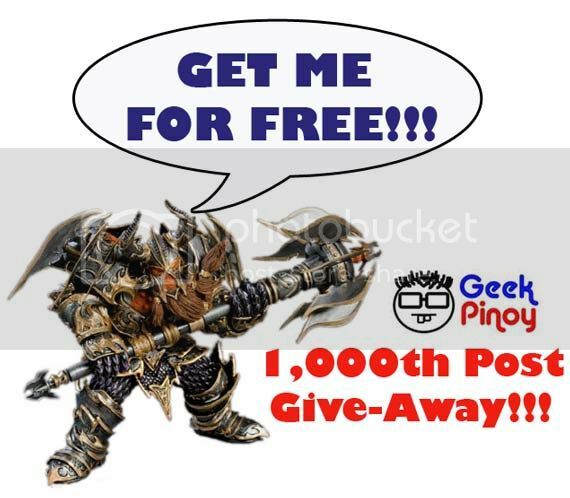 GeekPinoy.com's 1,000th Post Give Away!!! I find it hard to believe that in spite of our ridiculous laziness to write and talk about the stuff we love we're finally on our 1,000th post! Yes, for the past year and a half we've posted 999 articles of all the geekiness and collectible loving nonsense the internet has to offer! We'd love nothing more than to continue sharing our love for all the geekiness and collectible goodness we can find so as a treat for bearing with us all this time we're giving away a brand new (sealed) Thargas Anvilmar World of Warcraft Action Figure! (It's that figure above just in case you missed it) We can only afford to give one away so we have a couple of easy mechanics after the break if you're interested to get this guy sent to your doorstep. 1.) Snap and post a photo of your geekiest self on Facebook. Maybe with your collection, cosplaying or anything you can think of that you think is geeky enough for us and your friends to like. 2.) Post the link to your photo on the comments below so we can track it. It's the only way for us to know you entered our little contest. 3.) The more likes and shares from your friends the more chances of winning. 4.) 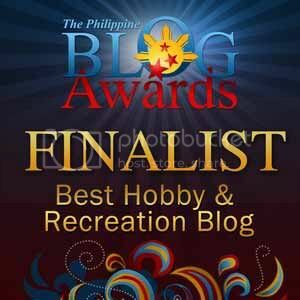 Submission of entries will be up to 11:59 PM on September 25, 2011. This contest is only open to people in the Philippines. Sorry but we really can't afford to pay for all the international shipping and taxes. Entries will be judged by creativity and likability. Winners will be notified via Facebook a week after the deadline as we need to make sure we see all the great photos. One entry per Facebook account please. The figure will be delivered to the winner via local courier. That's it! Oh and don't forget to LIKE our Facebook Page to get the latest updates! 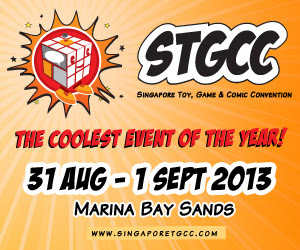 Also don't forget to spread the word by clicking the "Share" and "Retweet" buttons on this page. Thanks and good luck to all the entries! Thanks for the entries guys! I'll announce the winner in a day or so... Thanks! Has a winner been announced? Thanks! Oops, just saw the entry. Congratulations, Clyde! Would you know kung saan pa pwede bumili ng mga ganitong action figures?